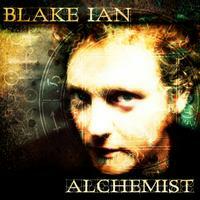 With his quivering, fragile voice and folk-rooted compositions, Blake Ian immediately calls Starsailor to mind. I’m not sure if Ian is familiar with that English group, but Starsailor fans wanting a fix, especially somebody with songs as moving and emotionally explosive as theirs, should delve into Alchemist with no hesitation. Ian is a post-alternative singer/songwriter, drawing upon the rough edges of grunge whenever his electric guitars rise up and in his moody vocal delivery, too. When Ian isn’t echoing Starsailor or their idol, the late Jeff Buckley, he recalls the deep, wounded soulfulness of R.E.M.’s Michael Stipe, especially on “Poison” and “Car Radio.” “Poison” is the more mellow of the two, a rainy-day piece with some fairly dreamy riffs. Ian can rock out as well as he can doing the quieter stuff, sometimes in the same track. For example, “In the Fires” opens acoustically and then the fuzzy electric guitars and pounding drums kick in. “A Little More” has a bit of killer wah-wah in its intro while “Being There” is crisp alternative rock from the Pearl Jam school of hard knocks. None of it is too loud, though, giving Alchemist the ability to appeal to a larger and most deserving audience.